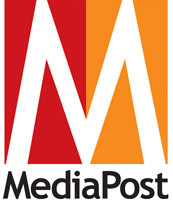 MediaPost reports that Memorial Day search traffic can be 2,000 times higher than average on certain keywords, using data analysis by iQuanti. Barbecues, ribs, backyards, and beach balls in the sun — having fun with friends and family. It may sound cliched, but that’s what comes to mind around Memorial Day. I’m searching for the best price on steaks, fish and chicken, places to go, and sales and bargains. So are others. In fact, the volume of searches related to Memorial Day in the past year reached more than 3 million, compared to Labor Day, which came in at 951,355. In April this year, searches rose to 4.3 million, up from nearly 2 million in March 2015. Interestingly, Memorial Day search traffic can be 2,000 times higher on certain keywords than average, according to Sastry Rachakonda, CEO of iQuanti. Men tend to search for information about the holiday more often — at 46%, compared with women at 36%. The focus on promotional activities points to Memorial Day rather than Labor Day, as searches rise 225%, according to iQuanti data. Most searches around Memorial Day revolve around sales and deals. In May, searches rise to 596,225, up from 3,894. Searches pertaining to Memorial Day weekend rise to 434,640, up from 45,956. Finally, searches in May 2014, asking questions about the holiday rose to 376,490, up from an average of 14,970 for the rest of the months in the year.